My early life was full of stitching – sewing dolls’ clothes and quilts, and learning embroidery. 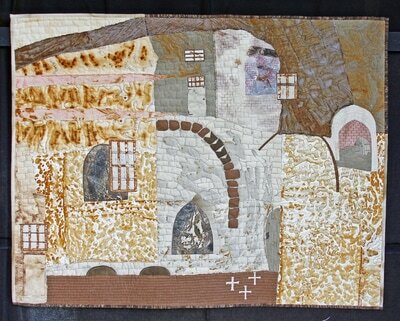 Then music and books took over and it was many years until I rediscovered my love of fabrics and thread. 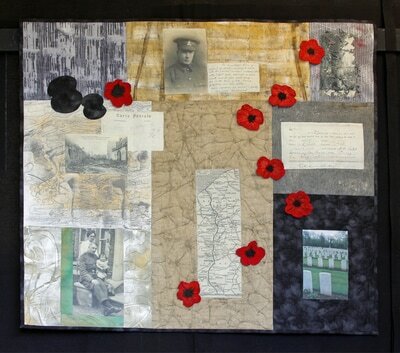 Now I concentrate on making art quilts, ‘telling’ stories with representational imagery. 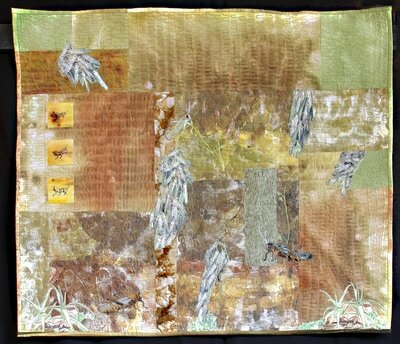 Producing my own fabrics, through dyeing, painting, rusting and monoprinting, gives me pleasure. 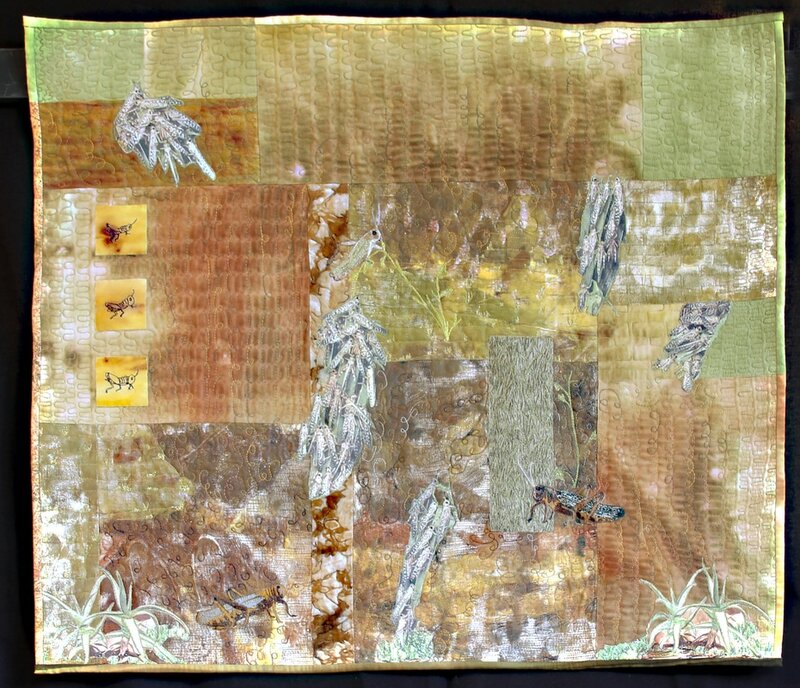 I use them to create collage backgrounds, to which I add further surface design through photo transfer and applique, and the joyful application of hand and machine stitch. I am inspired by the written word and by the natural world, my childhood years in East Africa and subsequent foreign travel. ​I am a member of Contemporary Quilt (the Quilters Guild of the British Isles), ‘all Threaded Together’ (aTT) and Eastern Region Textile Forum (ERTF), and help to run two local sewing and craft groups. Recent work has been exhibited through aTT at our exhibition in April 2016, and in ERTF exhibitions at Denny Abbey, Cambridgeshire and The Rhodes Gallery in Bishop Stortford.